Don’t wait under the sun. 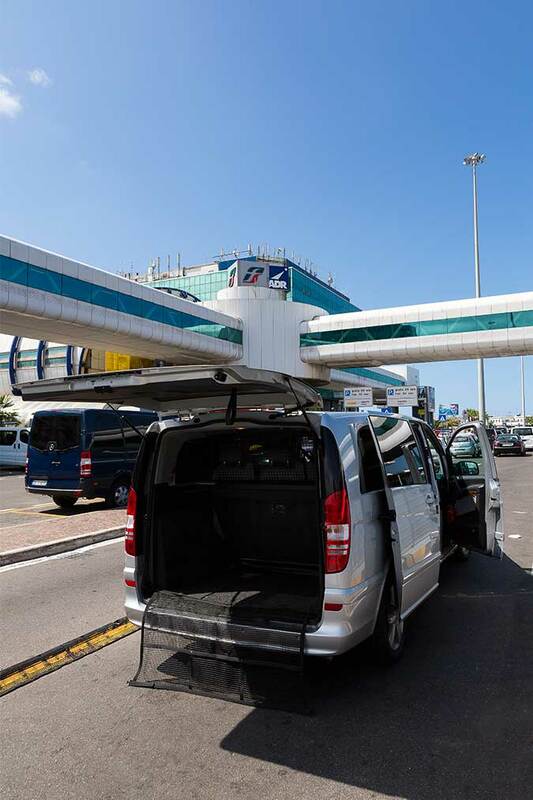 Book your private Limo Service in Rome Italy to take you from Civitavecchia to the Rome airport. The driver will be waiting for you holding a sign with your name on it as you descend from the ship. No walking to reach the car or mini van. No looking everywhere for the right direction. 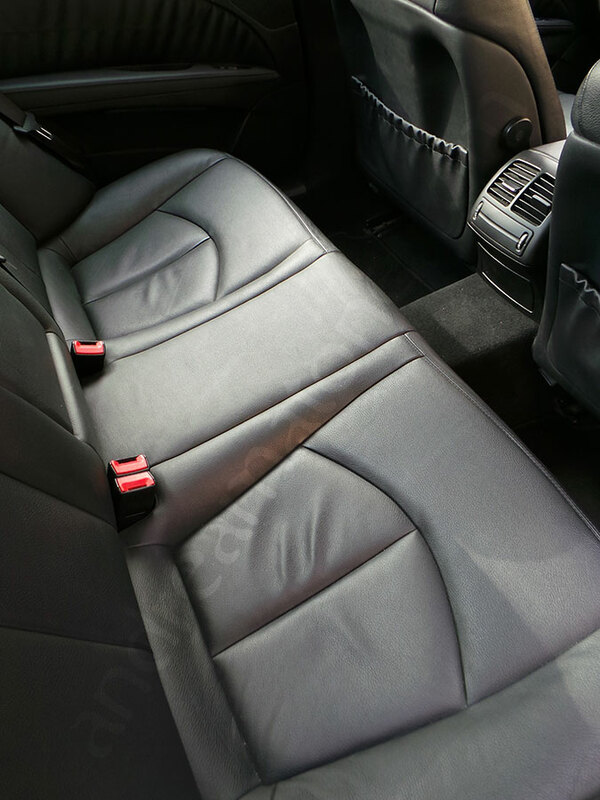 Just sit back relax and enjoy the ride with our Rome Shuttle Limousine! 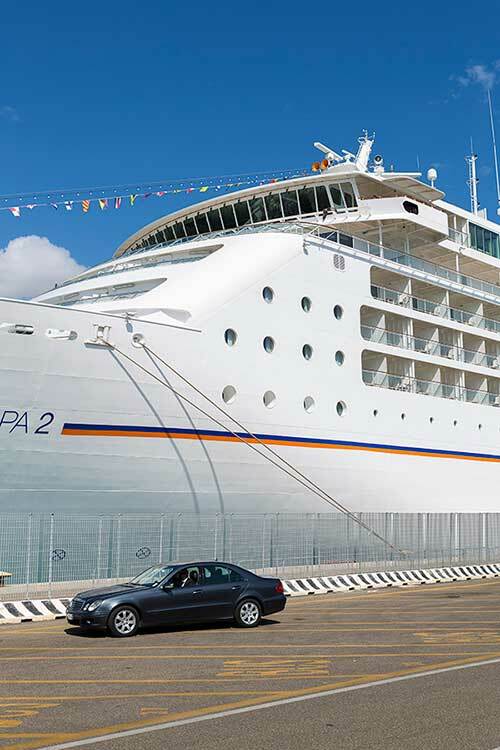 Enjoy our dedicated Civitavecchia cab service with our way transfer or round trip transfer from the Civitavecchia Port to any train station, Rome city center or to the Rome Airports of Fiumicino and Ciampino. Straight to your final destination. Enjoy our private Rome shuttle limousine service in the comfort of our fully loaded Mercedes Sedans or Vans for larger travelling groups. No difficulties pushing large luggage around or trying to find out where to go. The driver will be happy to help you with all your bags. The car or mini-van will be waiting for you at the Cruise port dock. For easier load and unload. Getting the bags inside the vehicle will be easy with the help of the driver. Fitting everything inside our cars or in our larger Van vehicles. Efficient and friendly door to door transfer service. Fully Air Conditioned vehicles for maximum comfort. Try our reservation module and check your destination, the distances and all the prices. Should you have any questions please get back to us and we will supply info or support within 24 hrs. 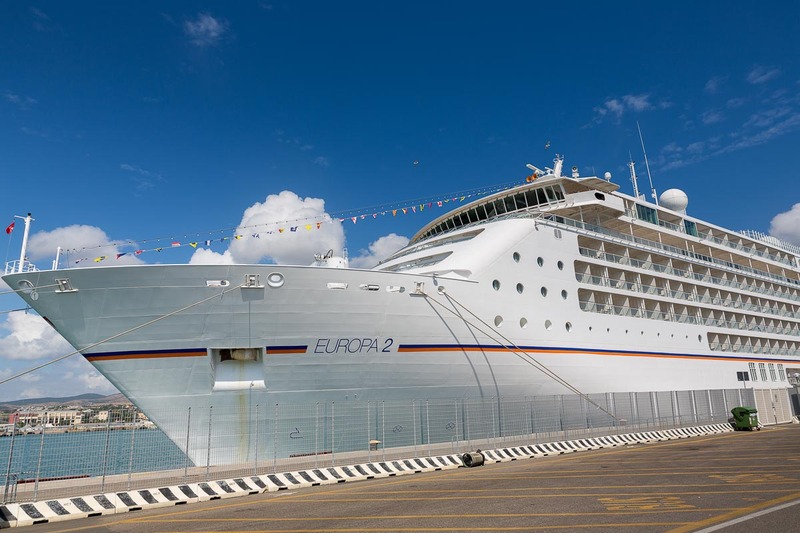 *If you are requesting a car pick from the Civitavecchia port please make sure to include the name of the Cruise ship. You can save if you book a round trip together with your initial transfer. We will be glad to take you back on your returning date at a favorable rate. Wide seating space. Enough room for everyone with the minivan. Comfortable legroom. High quality car service Rome to Civitavecchia. Fully Air conditioned vehicles. Pay on-line using most credit cards carried by the PayPal payment system. Alternatively you can pay the driver using cash or ATM. The latter accept also credit card payments. We will try to get back to you within 24 hrs. Especially if your request is urgent. Fast turn around times to get all the information to you. We’re also on whatsapp! If you are looking for a Car Tour out of the Cruise Port and into the city of Rome. Or the beautiful Italian countryside area of Tuscia. Please check out our Civitavecchia Tours page offering a wide range of different sightseeing options.